SAVE 30% plus FREE cosmetics bag. 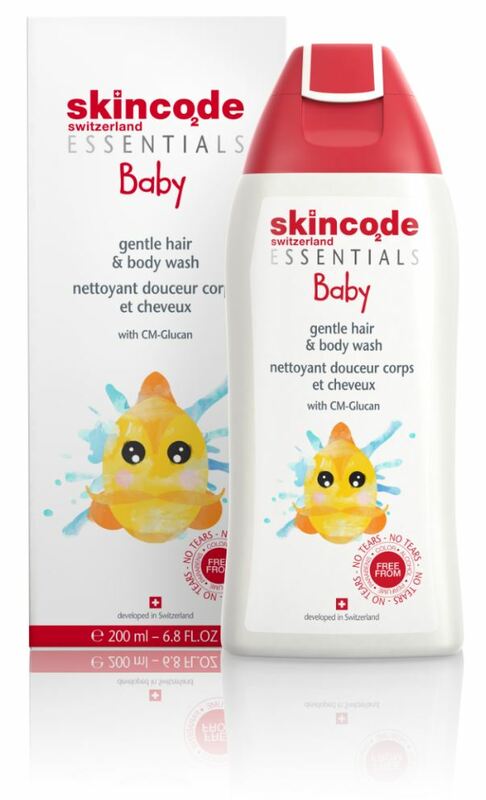 Essentials gentle hair and body wash – Refreshes Baby’s hair and skin. Especially developed to gently cleanse while protecting the delicate skin and scalp. This mild, tear-free and pH neutral (pH 5.5) formula leaves Baby kissably clean. Moisturizing daily body lotion – Strengthens & protects delicate, sensitive skin. 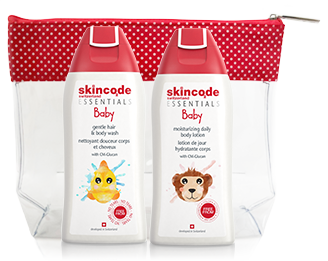 Especially developed for Baby, this daily lotion soothes and delivers long-lasting moisturization, while helping to strengthen the skin barrier. Transparent cosmetics pouch with Swiss cross design – Ideal for travel and products are easily visible for ease of use when on the go! Active ingredients: CM-Glucan, Sweet Almond Oil, Shea Butter, Moisturizing Factors. Gentle hair and body wash: Clinically tested. Tear free formula. Application: Use a small amount to gently wash Baby’s hair and body. Avoid eye area. Rinse well in warm water.